After breakfast Jesus asked Simon Peter, "Simon son of John, do you love me more than these?" "Yes, Lord," Peter replied, "you know I love you." "Then feed my lambs," Jesus told him. Jesus repeated the question: "Simon son of John, do you love me?" "Yes, Lord," Peter said, "you know I love you." "Then take care of my sheep," Jesus said. A third time he asked him, "Simon son of John, do you love me?" Peter was hurt that Jesus asked the question a third time. He said, "Lord, you know everything. You know that I love you." 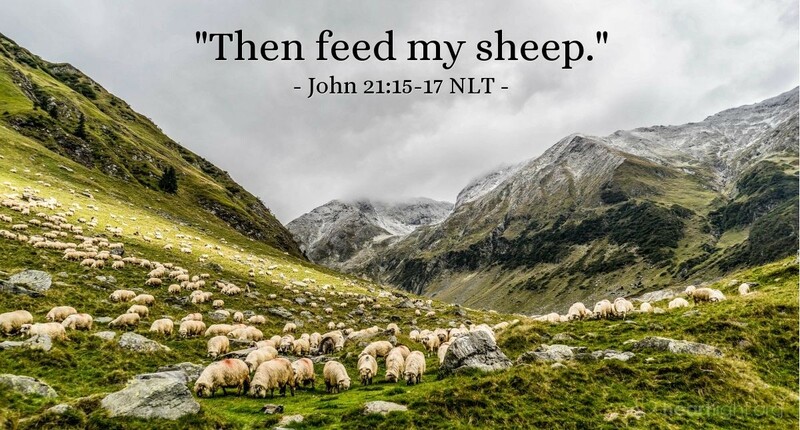 Jesus said, "Then feed my sheep." Do you think Peter heard the rooster crow again when Jesus asked him the question the third time? Three times earlier he denied his Lord by a charcoal fire. Three times beside another charcoal fire his Lord asked Peter about the genuineness of his love. Jesus was creative and sensitive, but he was also determined — Peter had to face his failure. So Jesus confronted him three times. Peter claimed his dedication was stronger than the rest. Jesus asked him if he still claimed to love his Lord more than the rest. Peter claimed that he would never deny his Lord, but he did so three times. Jesus' loving confrontation of Peter wasn't about shaming Peter, but reclaiming him. Peter had to face his failure, so Jesus asked him three times. Jesus also reaffirmed Peter's call to ministry three times. Have you failed the Lord? Don't despair. He can and will use you if you will be open about your failure and let him call you again to ministry and service. Father, forgive me for my failures, sins, and moments of unfaithfulness. Restore me to your service, renew me in my passion for holiness, and rekindle me with your Spirit. I want to honor and serve you always. In Jesus' name. Amen.